Adaptative with its team of most passionate developers and designers offers you best-in-class Umbraco development services so that you get simplest possible handling and completely user friendly backend experience. It is a DOT NET based Content Management System which is essentially popular for its easy handling and flexibility. Specifically focusing on this flexibility and user-friendliness, our Umbraco development service looks forward to provide you with every kind of development solutions starting from small scale business requirements to really large publishing site needs. 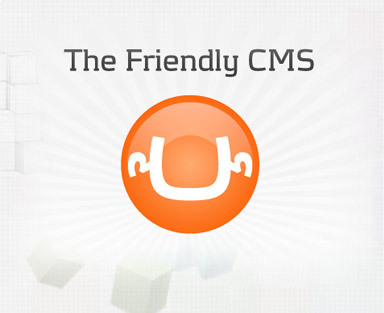 It is one of the simplest, most flexible and friendliest content management systems in every term and as it is an open source platform and follows only the standard technology that makes it easily editable, it is much liked by most CMS web developers. Moreover, it is easy to handle, simple to work on it and proves the best way to manage the content on your website with its tree based structure and internal search engine which makes it truly intuitive in nature. And it makes your entire content management process easier and smarter with its set of editing tools. You get best of the editing features that include in-context editing which makes it possible for you to edit your pages on your own and view them right on the browser; version-control for the purpose of saving your content and avoiding mistakes; publishing scheduling features which makes it easier to fix up publishing dates and make sure when to publish what; and multi-lingual support creating possibility for integrating any language that you look forward to use in your content creation. It is also a great platform for user management as it offers user and role protection which makes certain part of your site accessible only to a specific people. It offers special email notification every time a new page is created or modified, or there is some translation or publishing work done. And most importantly, it has unique scalability and most trustworthy security features. Knowing all the unique features of this incredible platform, our development team at Adaptative feels glad to offer you Umbraco CMS web development services aiming at fulfilling your business needs and goals in most flexible manner as our most skilful developers capable of working in tight schedule and limited resources committed to work for you with dedication in order to meet your requirement. Above all, we offer a most extensive customer support system that will assist you in all your difficulties and issues.